1John 5:14-15 But, even though we think God is obligated to answer us in the way we want Him to, that is not so. We should say to the Lord, that whatever you grant us will be what we need and what is best for us. We should be like Jesus when He prayed to God. When Jesus was agonizing in Gethsemane, He made His request known to God in humble submission; He said, ‘Your will be done.’ Matt. 26:42 This is the way we all should pray all of our prayers. Now, the model prayer is, Our Father who art in Heaven….Matt. 6:9-13. It is prayed by many people, too. 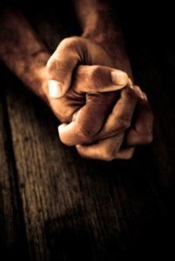 But, to pray like Jesus is very pleasing to our Father who is in Heaven. We must know that God’s will is always filled with wisdom and Love for us. But, how ever we pray, we pray to God, whether silently, out loud or write the prayer on paper, God knows our deepest need. He just wants us to discover the Joy of His presence each and every day, in our lives. Remember, Women of God, that God in His Wisdom hears all of our prayers. Remember also that, in His Grace, He offers forgiveness to us for our Sins, through our Lord, Jesus Christ. And lastly, In His Love, He offers us eternal Life through, Our Lord, Jesus Christ. Be a Blessing to someone today, pray in Jesus Name. Women of God, we should pray faithfully, whether in private or public. Praying for one another is one of the greatest gifts we can give others. Praying for each other also helps us grow Spiritually. Women of God, let us pray intercessory prayer. The Holy Spirit knows our hearts, and he also knows the heart of the Father. I like the saying that says, ‘The Holy Spirit takes our prayers and breathe them to our Fathers will for us.’ Now, we may not get what we want but, we will receive God’s best. Let us pray daily for each other and let the Holy Spirit work on our behalf. I am praying for my young daughter who has lost her way. She is in a dangerous situation that she cannot see because she is so close. Hello! I am Evangelist Kathy Tucker! Do You Want To Communicate with God? Why not Try Prayer? It Works!